We create custom foods using technology & innovation. 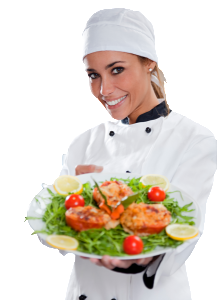 We have the ability to customize & cook chef developed recipes for commercial applications. From our concept table to a customer’s dinner table, we focus each recipe on today’s consumer trends. Nine generations of family tradition go into every Heartland meal. We’re a privately-owned business with family at its heart and we've got one focus – developing wholesome, delicious meals to come home to. Backed by tradition, yet looking to the future. We’re committed to innovative product development using only the highest of standards. Our current focus has been on 'Sous Vide', water bath cooking. We can deliver perfectly cooked & extremely delicious food that will help our customers increase sales and reduce labor costs. Our dedication to providing quality meals at an exceptional value means only the highest caliber products, at a competitive cost, delivered with outstanding customer service. It’s our pledge to you. It's what we call the Heartland Advantage.